It’s hard to take pleasure in stopping at the gas station. It’s a necessary evil that takes a chunk out of your wallet. However there are ways to delay and extend the time in between fill ups. Turning down the air conditioner, accelerating smoothly, avoiding sudden stops, and using cruise control all make your gas tank seem a little bigger. But eventually the time will come to refuel. In this sense, your car isn’t too different from your phone. In fact, it may even be accurate to say that you’d rather see your gas light illuminate your dashboard before seeing the battery icon on your phone turn red. According to a recent study by Pew Research, 68% of Americans have smartphones. That’s more than two in every three pockets or purses. It’s probably safe to assume that 100% of the 68% have had their phone die at an inopportune time due its battery’s lack of stamina. 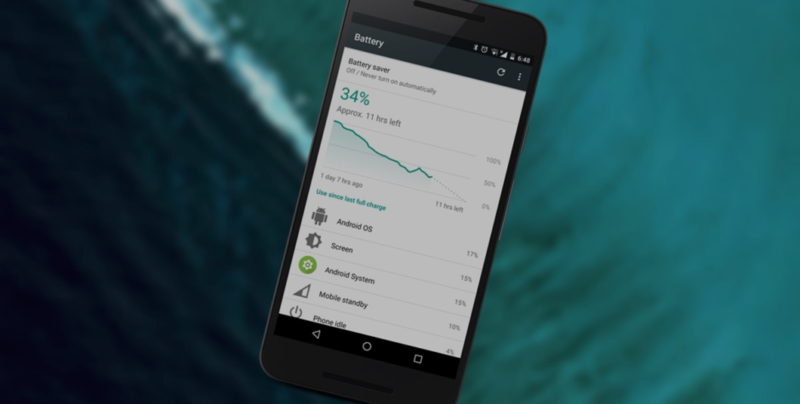 While phones have improved in design, functionality, security, and even power efficiency over the years, there are still several things that move the needle in the wrong direction when it comes to battery life. The good news is that they can be fixed, in turn adding more miles to your phone’s daily commute. Apps Running in the Background: While many of the applications on your phone may be out of your sight, they are not out of your phone’s mind. Just because you exit Facebook, Twitter, Maps, Email, or Monopoly doesn’t mean that they stop updating or running down your battery. For iPhone users, simply double tap the home button and swipe upward on the apps you’d like to close. For Android users, download an “app killing” app to end the programs you aren’t using. Improper Charging: Sometimes to achieve an end goal, you need to look at the beginning process. Some batteries see enhanced performance when they are fully used and completely run down. This strategy uses all of the cells equally, preventing some from being overused. However, the lithium ion batteries that power smartphones don’t benefit from the same treatment. The lower your phone’s power gets, the more stress it puts on the battery, increasing the wear and tear on its cells. Avoiding a total charge down of your battery will improve both performance and longevity. Furthermore, try to only use the charger that came with your phone. When replacing your charger you may want to opt for the less expensive no name brand charger, these chargers are made with lower quality parts making them a hazard to your phones battery, also they are known to break down easier than the brand name chargers that come with your phone. Avoid Overheating: Your phone is a small computer that runs processes and generates heat. It can handle the heat it creates, however external factors like direct sunlight, a hot car, or any type of insulated storage can overwhelm its internal cooling measures. Overheating can damage the battery and reduce its ability to effectively hold a charge. Wi-Fi Connectivity: When your Wi-Fi settings are enabled your phone will constantly attempt to connect to a network. Searching for available networks is a highly battery-intensive chore. This feature can be disabled, and should be if you aren’t going to be in an area with Wi-Fi. While these facts and tips won’t do much for your gas mileage, they can help you pass the time as you fill up with a fully charged phone.